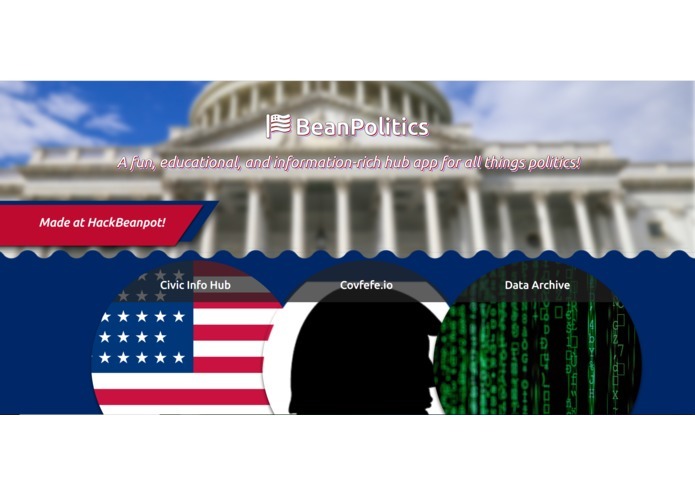 A fun, educational, and information-rich hub app for all things politics! Developed in 48 hours as part of HackBeanpot 2019. Want to find out who represents you? Use the Civic Info Hub to become informed on your local representatives and how to contact them! Utilizes the Google Civic Information API & Google Maps Autocomplete API. 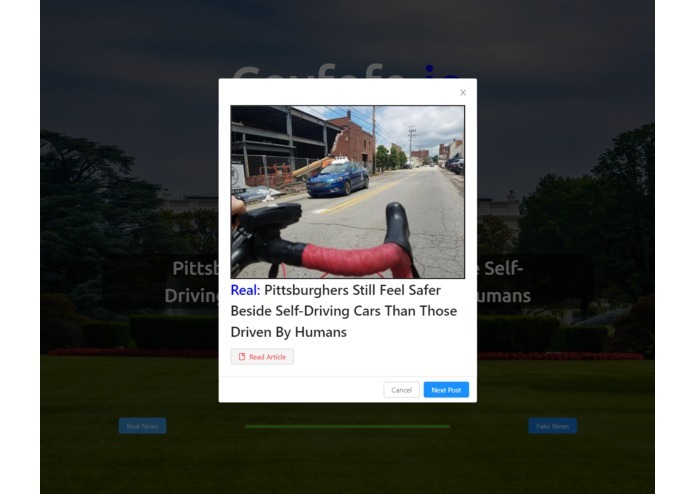 A fun, informative game where users determine whether or not articles that appear are "Fake News". 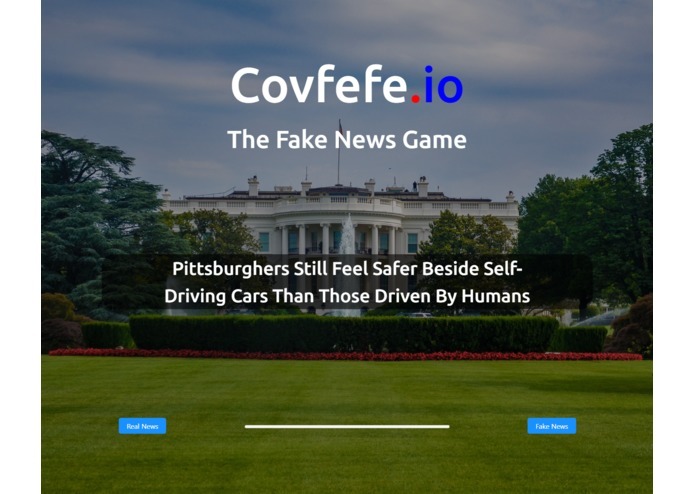 Try your luck at Covfefe.io! Parses articles from /r/theonion and /r/nottheonion. Curious about past election results? Access the Data Archive to see visualizations of your state's presidential elections! 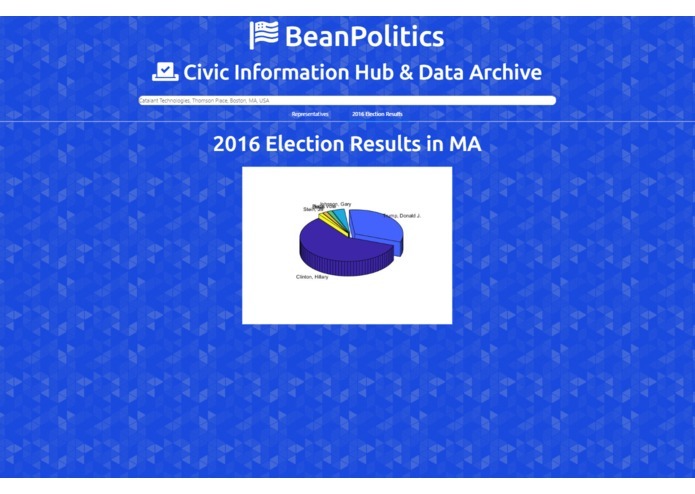 Incorporates data from MIT's Election Lab, graphed using MATLAB. The MATLAB Work folder contains work done towards parsing data for the Data Archive. The beanpolitics folder contains the React workspace that should be run to use the program! To run the project, navigate to the beanpolitics folder, swap out YOUR_API_KEY for a valid Google API key in /public/index.html and /src/actions/index.js, and then build using npm start! 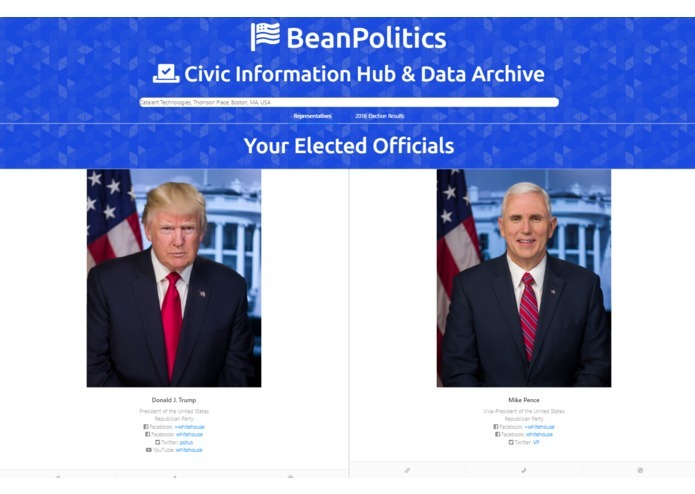 I was the main developer of the Civic Info Hub portion, with my fellow team members Mitchell covering Covfefe.io, Prabu handling Data Archive, Reese creating the dashboard, and Jonah addressing various portions of the project.